This entry was posted on February 6, 2019 by Herb. Maywood, IL – The long-awaited successor to the popular F800GS is here and ZTechnik is ready with four new VStream® Windscreens that will withstand years of rugged use. The windscreens are made in three different sizes and tints to satisfy almost any GS rider's needs. All will offer improved wind protection and riding comfort compared to OEM or other aftermarket windscreens. 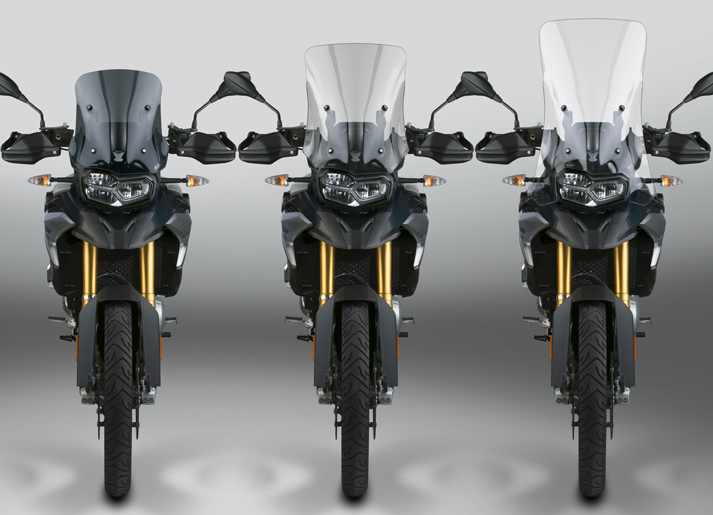 Download high resolution photography of VStream Windscreens for the BMW F850GS.